Robert Burns was a great Scottish poet, who died in 1796. Burns night has become a celebration of his life, held on, or near, his birthday, the 25th January. Burns night traditionally involves a Burns supper, where groups of people gather in order to eat a traditional Scottish meal and enjoy Scotch whisky, and also traditionally his poety would be recited. Nowadays, the emphasis is often on the whisky, and pubs will tend to advertise Burns night as a great excuse to drink their Scotch! However, the tradition of meals on the night is still around, and a number of restaurants will be offering a Burns night special this weekend. The Loch Fyne in the Hub, Milton Keynes is one of these places, offering a special menu for Burns night featuring some of the best Scottish foods. More locally, the Cowpers Oak in Olney is holding it's annual Burns night supper on Saturday night from 8pm, featuring the best Scottish cuisine and of course some classic malt whisky. Similarly, the Rose and Crown in Newport Pagnell will be serving haggis, neeps and tatties and whisky gravy from 6pm. 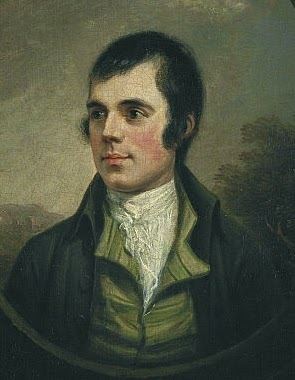 Check out your local restaurant or pub for some burns night events, and enjoy remembering the works of the great poet. Juice diets- healthy or not? 1 month 'till the Pancake Race! Race for 2015- Sign up now! New Year's resolutions- Take them or leave them?